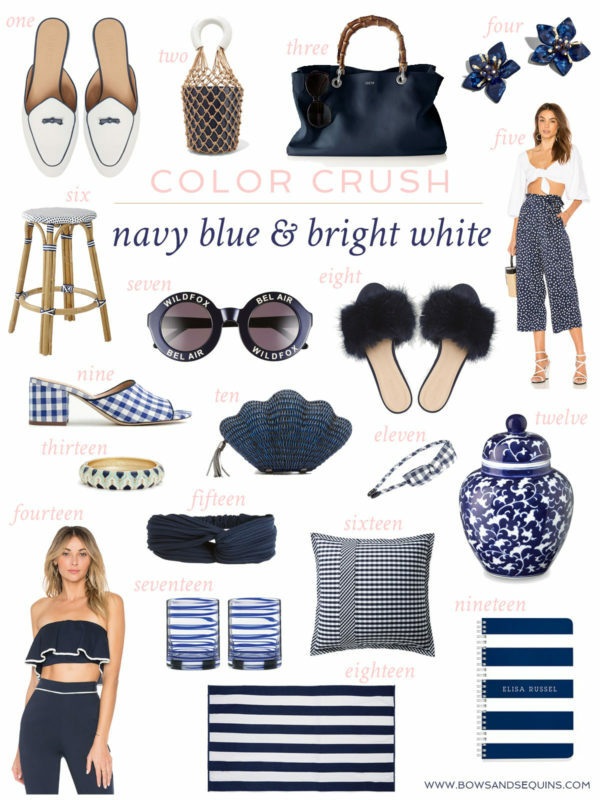 It’s no secret that navy blue and white is one of my favorite color combinations! From fashion and accessories to home decor and linens, I’m all about this classic combo. I love the chic, coastal vibe all year round, not just in the spring and summer months. In my eyes, you can pretty much never go wrong with blue and white! Blue and white chinoiserie is one of my favorite ways to add pops of blue and white to your home decor! Williams Sonoma has such a great selection. I never can get enough of navy blue & white! Therefore I simply love your post! 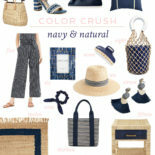 Love navy and white together! I’m obsessing over those polka dot pants! Obsessing over this collage!! I need it all! Especially those white loafers with the navy stitching! How cute are those polka dot pants?